The restaurant looks more of a small, compact cozy eating place, which sometimes might not even give you the impression of it being a restaurant. Many people love to call it a food joint as well. 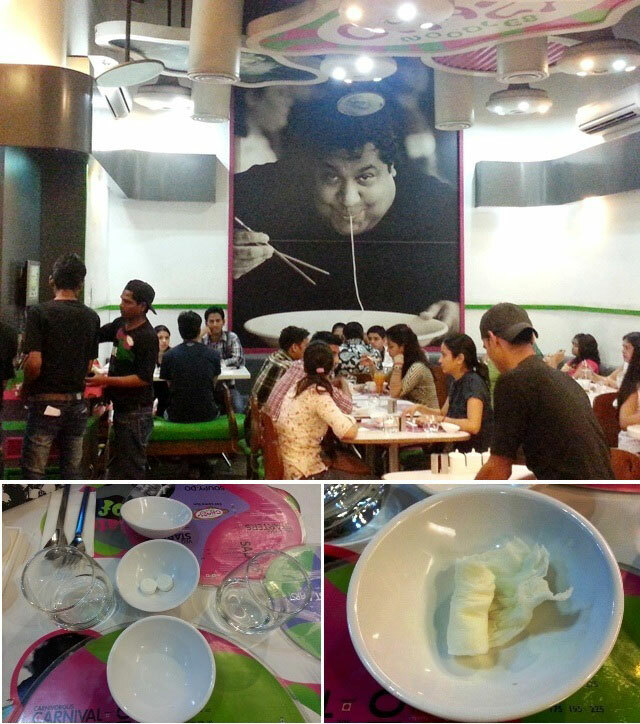 Talking about the décor, there is nothing much experimented here, except for some quirky tableware, the very interesting menu, the open air live kitchen and of course the huge poster of an equally huge man eating his noodles! Well, so much for the namesake! The tableware caught my attention, especially the lopsided small, transparent glasses on the table and the napkin, which came by way of a small tablet. It had to be placed in a small bowl of water, to transform itself into a wet tissue. This caught my fancy and now I am glad to have a pack of it, all bought from the makers themselves! A bustling place crammed with people is a sure shot evidence to highlight that this place is a hot favorite amongst the masses. The churning of the visitors on the table was pretty fast, suggesting a smooth and prompt service as well. The best part is that the staff knows their job well and the time required for the same. No wonder we were given a seat, within a promised 15 minutes of waiting. To top it all, I was impressed by the customized service of attending each table with a lot of care and not to mention, the smile! 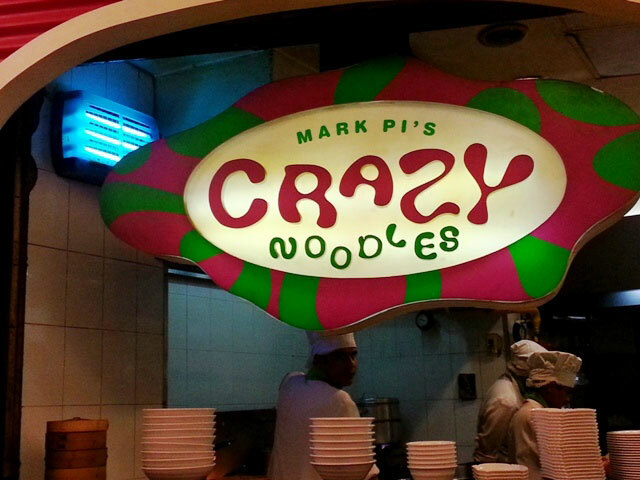 Crazy Noodles serves some very quirky signature dishes, along with the conventional Chinese. It has Crazy noodle salads with some unique dressings. Going by the name, it has several unique noodle dishes in its sleeve. From Japanese soya butter noodles, Miso Shoyu noodles, Tangy Bangkok noodles to some Miso Ramen, the place boasts many unusual noodle recipes. On waiter’s request we ordered, Chicken Thukpa amongst a plethora of noodles. For people, who do not know what exactly the dish is about, let me enlighten them. Thukpa originally hails from Tibet, but in our case the waiter said that the recipe was from Sikkim. Anyway, it is a mixed brew of steaming hot veggies, noodles and shredded chicken, cooked in a broth of salt and lots of pepper. The veggies look fresh, very upright and added in the feeling of healthy eating. 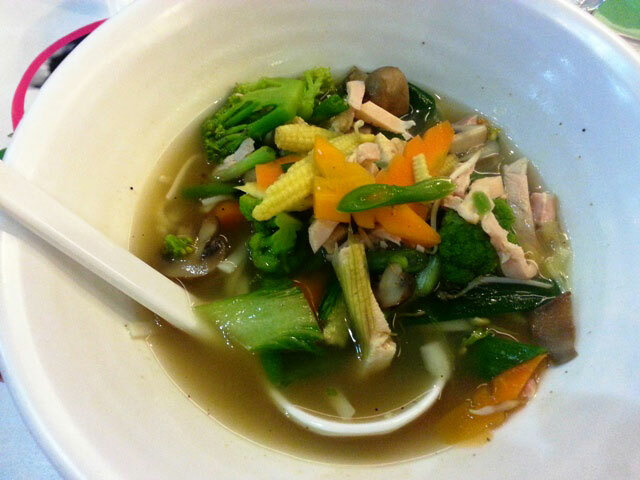 Though the broth did not have anything other than salt and loads of pepper, it managed to impress. The fewer quanta of spices allowed the fresh vegetables to impart their distinctive fresh taste, making the Thukpa a deal for the day! Later for starters, we embarked on chicken tenders in sweet and spicy sauce. This dish looked and tasted great. The chicken tenders were deep fried and then gently tossed in a myriad of flavors, which primarily were hot and sweet. Quite unique, the flavors were well liked. 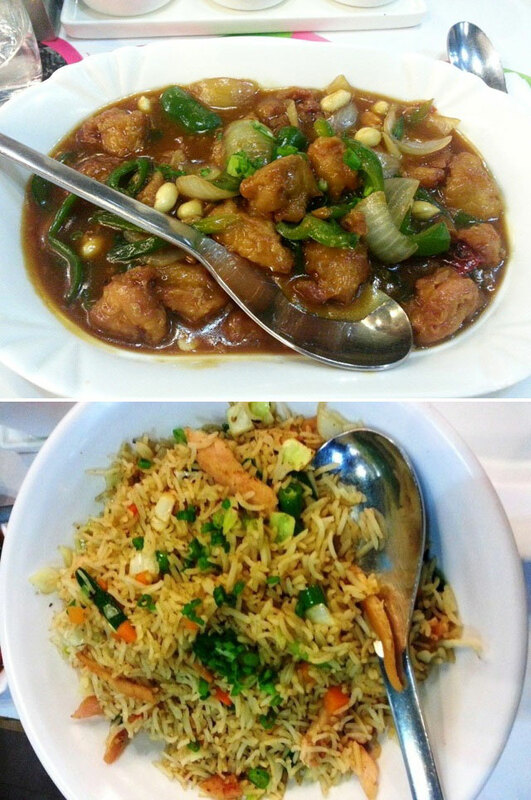 For the main course, we got something very conventional, which was chicken fried rice, but for the side dish we ordered ‘Crazy noodle’s favorite, Kung Pao’s Chicken. I really have no idea as to why the name, but I’m sure the guy must have been quite hot! 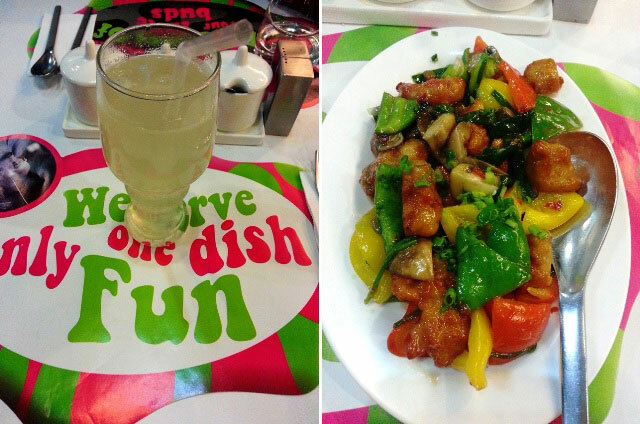 We had to get Lichi mocktails to subside the high chili content in Kung pao’s. The fried rice was good, especially the chicken tenders in it, which imparted a light smoky flavor. I enjoyed eating them in bits. What came in as a shocker was the super spicy Kung Pao’s chicken, which had lots of red chilies into it and peanuts thrown into it for that added crunch. Although, we regret ordering excess, but still we managed to get the leftovers packed. The food looks, smells and tastes great, especially the Thukpa and the starter. Although, I couldn’t appreciate the spicy Kung Pao, but considering the huge orders for the dish, I can vouch it to be quite famous. It is quite economical as well, especially considering its location in the prime GIP mall in Noida. For chicken thukpa, starter, 2 mocktails, main course, and a non-veg side dish, which could have easily sufficed for more than 2 people, the bill came to around 1000 bucks, inclusive of taxes, making it 500 per person.